How do economic systems shape the way we treat other people? 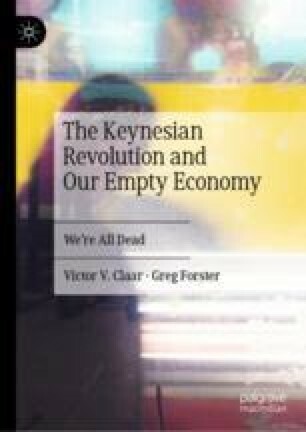 Major economic paradigms before the Keynesian Revolution began from a view that human beings had an inviolable dignity. The Consumption paradigm treats human beings as bundles of irrational appetites that respond to stimuli and can be easily manipulated. Since our economic lives include our most intimate and important personal decisions, political control over the economy implies political control over nearly every decision. This creeping totalitarianism of economic management is the gravest threat of hollow prosperity. Keynes, John Maynard. 1925. The Economic Position of England. http://www.hetwebsite.net/het/texts/keynes/keynes1925moscow.htm. Accessed 30 Jan 2019. Keynes, John Maynard. 1963 . Economic Possibilities for Our Grandchildren; Scanned by Yale University Economics Department from John Maynard Keynes, Essays in Persuasion, Norton, 358–373. http://www.econ.yale.edu/smith/econ116a/keynes1.pdf. Accessed 23 Jan 2019. Luther, Martin. 1522. The Estate of Marriage. https://pages.uoregon.edu/dluebke/Reformations441/LutherMarriage.htm. Accessed 29 Jan 2019.